HEAVY PARADISE, THE PARADISE OF MELODIC ROCK! : US rockers HitnRun offer free download of "Shot of Love"
US rockers HitnRun offer free download of "Shot of Love"
To mark their return to the studio to record new music for the first time in more than 20 years, Pennsylvania hard rockers HitnRun are offering a free download of the track “Shot of Love” from their self-titled debut for a limited time via Amazon Music and CD Baby.“It all comes down to wanting more people to hear the band, especially now that we’ve made the decision to carry on and record new music. 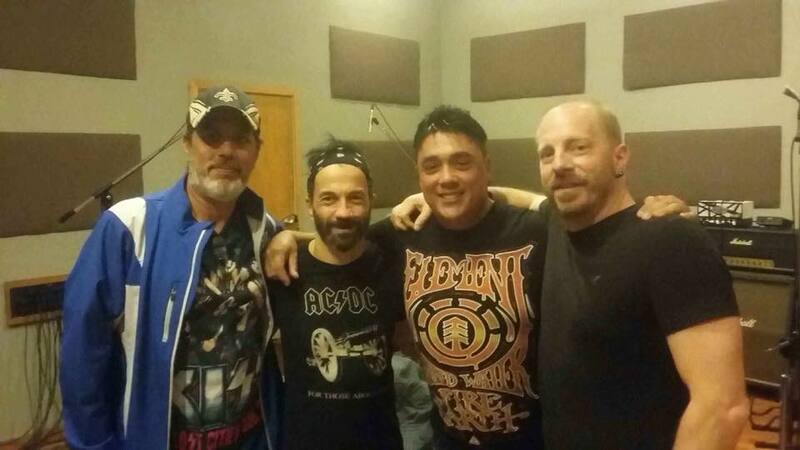 For fans of bluesy, melodic hard rock, we feel that HitnRun has a lot to offer,” singer Eric Montoya explains. Originally formed in 1991, HitnRun gigged extensively throughout Pennsylvania and New Jersey before disbanding in 1995. With renewed interest in the band thanks to social media, the group finally released their self-titled debut album digitally at the end of 2015. The album met with great critical acclaim throughout the online hard rock community, including excellent reviews from MelodicRock.it, Sleaze Roxx, and Metalglory.de. HitnRun then signed with Denmark-based Lions Pride Music for the 2016 European release of the physical CD of the album.